When speaking of Sandpoint, one phrase that is certainly no longer applicable would have to be undiscovered. Recently, several major media outlets have published articles focusing on the merits of living or vacationing in this small northern Idaho village of 7,500 people. Consequently, everyone is now learning why this is one of the country's best mountain communities for active adults seeking an affordable place to retire. Two national magazines, Outside and National Geographic's Adventure, featured this idyllic spot and described its virtues in glowing terms. Combine those with a front page article in USA Today and a major segment on CBS's popular Sunday Morning, and all of a sudden, Sandpoint is suddenly thrust to the forefront of America's new destination spots. 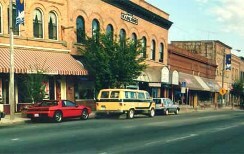 In fact, Sunset magazine recently dubbed it "the best small town in the West." Obviously, there is a reason for all this attention from the outside world. Those of us relegated to living in more mundane places have heretofore only dreamed of finding a place like this... a peaceful and tranquil arcadia in an absolutely stunning natural setting, no traffic congestion, thousands of acres of forests with trails for hiking and biking, and ski slopes and golf courses just minutes away. For the time being, prices are still fairly reasonable, except for waterfront properties, where values have been steadily escalating for several years. And despite the surge of publicity, it still has the feel and character of a laid back community, but one with a vibrant business sector and a diverse and sophisticated artists' colony. 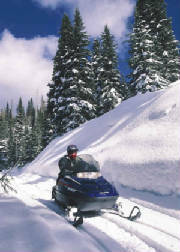 Located just 60 miles from the Canadian border and 75 miles northeast of Spokane, Sandpoint has always attracted a great number of summer visitors who came to enjoy the many pleasures of Lake Pend Oreille, a 43 mile long body of water with spectacular scenery and thousands of inlets for boaters, water skiers and fishermen. The big difference today is that many of those summer visitors are now returning with moving vans. 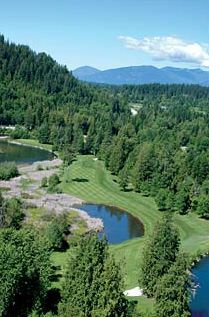 While Sandpoint may be somewhat isolated by the towering mountain ranges and surrounding rivers and lakes, those living here have no problem finding an abundance of activities for recreation and entertainment. With more than forty restaurants, an active theater group and a well-know and long running summer music festival, most residents find their spare time well occupied. The secret seems to be out...this little community is rapidly moving up the list of best places to live and retire. 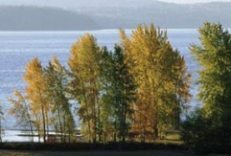 Although it may not be the most affordable small town for anyone searching for the best place to retire, Sandpoint should certainly be included among the choices for best places to retire in the mountains. Even though retirees may not yet find those traditional retirement communities that cater to the over 55 age group, for the younger, active retiree, this mountain community can prove to be an exciting and fun-filled place to retire.